The Tenth Amendment can best be described as the last visible battlefield breastwork of the constitutional struggle between the forces of centralization and those of localism. But just as military advances have made nineteenth-century earthen breastworks mostly obsolete, so, too, have developments in American jurisprudence eviscerated the protective qualities of the Tenth Amendment. Justice Holmes advanced the evisceration of the Tenth Amendment in 1920, when he adjudicated a conflict between a 1916 treaty and a Missouri law. He postulated: “The treaty in question does not contravene any prohibitory words to be found in the Constitution. The only question is whether it is forbidden by some invisible radiation from the general terms of the Tenth Amendment. We must consider what this country has become in deciding what that Amendment has reserved” (Missouri v. Holland, 252 U.S. 416). According to this Holmesian logic, rather than the Tenth Amendment constraining the expansion of national power, national power feeds off the reserved powers of the States as national developments dictate. In other words, the reserved powers of the States are conditioned within the context of national power. Moreover, because the Tenth Amendment lacks sustainable substantive content, Supreme Court Justices have license to define the States’ reserved powers as their respective ideological proclivities dictate. This jurisprudential fact is most recently manifested in Lawrence v. Texas, through which the court majority’s ongoing expansion of privacy rights trumped a portion of Texas’s police powers prerogative. Professor Killenbeck echoes Justice Holmes’s Tenth Amendment jurisprudence by placing it in the context of the “transformation of the federal government’s role in response to the realities posed by a substantially changed nation. . . .” This leaves begging the question whether “the transformation of the federal government’s role” is a good in itself. And if not, the original purpose of the Tenth Amendment was to thwart that transformation in order to protect the very things that an ever-expanding national government is despoiling, such as government based upon the consent of the governed. This is not to say that the justices don’t play games with their audiences—politicos, pundits, and the public—by dressing up their Tenth Amendment jurisprudence in the garb of constitutionality. One would think that the Framers’ original intention was to create unlimited government run by an unaccountable national bureaucracy doling out goodies to their respective constituents. There is ample evidence that the justices themselves have been caught up in believing that they are, in fact, interpreting the Constitution and not essentially using it as a platform from which to launch their ideological missiles into the American cultural, economic, and political landscape. Some recent scholarship has even postulated that such missiles are launched with the tacit consent, indeed encouragement, of the American public and elected officials. The unstated modus operandi of judicial activism is that the people are too stupid to know what is in their long-term interests and political elites are too cowardly to confront that stupidity. So, in a roundabout way, the justices are at the vanguard of democracy and, perhaps, the most democratic autocratic institutions ever devised. One thing is certain, the Tenth Amendment’s reserved powers (which include the States’ police powers to promote the health, safety, and morals of their respective citizens) have undergone substantial erosion. Whether in the area of Congressional commerce powers, Fourteenth Amendment equal protection, due process, and/or the selective incorporation of the Bill of Rights, the States’ public policy prerogatives (or what was once affectionately referred to as States’ rights) are increasingly subservient to national public policy objectives. This does not mean that the States’ powers have not seen exponential growth. All levels of government have grown at phenomenal rates. But the States’ public policy prerogatives (e.g., abortion, education, gay rights, private property, church and state, etc.) on issues that define the States as distinct communities have been substantially curtailed. As announced by Justice Stone, prejudice against discrete and insular minorities would be subjected to a “more searching judicial inquiry” (United States v. Carolene Products Co., 1938). The volume of essays under review presupposes that the Tenth Amendment and state sovereignty are viable and still instrumental in American jurisprudence. Admittedly it is somewhat difficult for me to consider seriously a book that begins with such a premise. I initially asked myself, “What’s all the fuss about?” In the scheme of American constitutionalism, is it really that important if a State pays its public employees overtime pay, if a victim of domestic violence may seek a civil remedy from a U.S. District Court, if the local constabulary has to conduct background checks on gun purchases until the U.S. Department of Justice has its computers operational? Perhaps. But such issues appear to be Tenth Amendment rearguard actions as the States retreat under the weight of U.S. Supreme Court case law and the protectorate of Congressional intergovernmental transfers. In other words, Is the contest over? Have the States lost their capacity to be self-governing republics within the context of American federalism? Or can these rearguard actions be a sign that the States have not been routed, that they retained enough state sovereignty to reorganize and rebuild the Tenth Amendment breastworks into meaningful protection for States’ rights, subsidiarity, localism? These terms are not pejorative. Contrary to a strong undercurrent in the book that equates the Tenth Amendment with slavery, segregation, other “regressive state policies,” it must not be forgotten that abolition, integration, child labor laws, workers’ rights and most, if not all, so-called progressive public policies have their origins in States’ rights within the context of American federalism. To the consternation of the advocates of national power, the Court, in a five to four decision, did check the expansion of national power in 1995, when, in United States v. Lopez, it actually acknowledged limits to Congressional commerce powers vis-à-vis the Tenth Amendment. This was especially alarming for nationalists since, in Garcia v. San Antonio Metropolitan Transit Authority, (1985), the Court had seemed prepared to dismiss the Tenth Amendment as an annoyance. In Garcia, the court concluded that the “Framers chose to rely on a federal system in which special restraints on federal power over the States inhered principally in the workings of the National Government itself, rather than in discrete limitations on the objects of federal authority”—that is, the Tenth. In Lopez, however, the Court came to the realization that those “workings of the National Government” did not suffice, and curtailed Congressional commerce powers by striking down the Gun-Free School Zones Act of 1990. Explicating an emerging (albeit what I contend is an imagined) Rehnquist Court trend, epitomized by the switch from Garcia to Lopez and a handful of other pro-Tenth Amendment opinions, this book attempts a simplified (and thereby presents a somewhat distorted) account of Tenth Amendment jurisprudence and history. For example, faced with a resurgent Tenth Amendment, Professor Rakove admits that “[f]or a Madisonian like myself, who happens to think that the national government has indeed played a crucial role in enlarging rather than limiting fundamental rights and liberties, this is not a happy thought.” Rakove needs to explain better the manner in which, and the extent to which, the author of the 1798 Virginia Resolutions would be supportive of marginalization of the States’ police powers by an ever-expanding national government and the crushing demise of popular control under the weight of national elites. Another case in point is Professor Leuchtenburg’s account of Hammer v. Dagenhart (1918). The Supreme Court struck down the provision of the Keating-Owen Child Labor Act of 1916 that prohibited the shipment in interstate commerce of products of child labor. Leuchtenburg claims that Justice Day deliberately misread the Constitution and that the decision “hovered like a dark cloud” over the FDR administration and the plans of his Secretary of Labor to “institute a Welfare State.” Moreover, “‘Hammer’ caused such consternation not merely because of its faulty reasoning, but probably even more because it denied the United States government any capacity to end the plague of child labor and similar injustices.” What Leuchtenburg fails to realize is that a United States Government that has the power to end child labor, also has the power to protect it, or even worse, institute the welfare state that he bemoans was briefly derailed by Hammer. Contrary to the picture painted by Leuchtenburg, Justice Day did not endorse child labor. As he maintained in his opinion, “there should be limitations upon the right to employ children in mines and factories in the interest of their own and public welfare, all will admit. That such employment is generally deemed to require regulation is shown by the fact that the brief of counsel states that every State in the Union has a law upon the subject, limiting the right to thus employ children. . . . It may be desirable that such laws be uniform, but our Federal Government is one of enumerated powers. . . . In interpreting the Constitution it must never be forgotten that the nation is made up of States to which are entrusted the powers of local government,” (Hammer v. Dagenhart, 247 U.S. 251). It is obvious that Justice Day supported progressive child labor laws, but he would not bend to reaching this policy objective through unconstitutional means. Taking the text and historical context of the Constitution more seriously, Professor Yoo supports a revitalization of the Tenth Amendment. He adumbrates the constitutional pillars of American federalism, such as the electoral and political processes, but, more importantly, that of judicial review. The editor would have been well advised to place Professor Yoo’s chapter not towards the end of the book, but at the beginning. 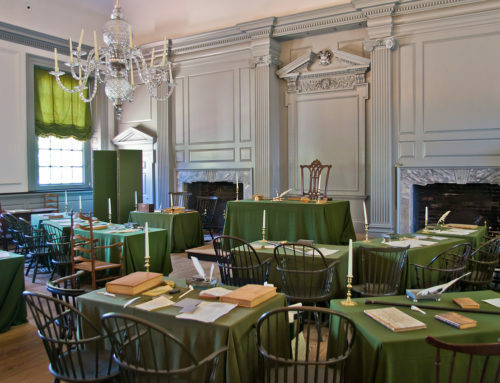 By doing so, readers would have been better prepared to appreciate the relevance of American federalism and the role of the States in procuring and sustaining a viable republic. 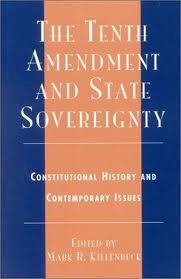 Yoo’s chapter in and of itself makes The Tenth Amendment and State Sovereignty worth reading. This comment is not meant to minimize the contribution to Tenth Amendment scholarship made in the other chapters. 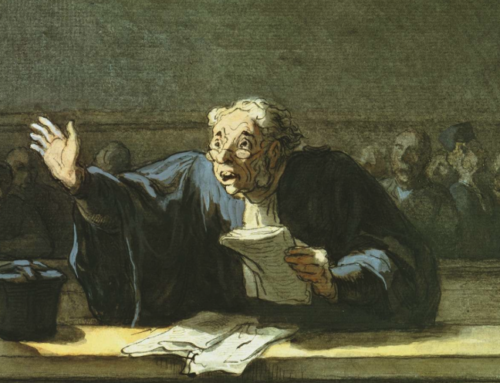 To the contrary, Professors Killenbeck, Leutchenburg, Rakove, and Yoo provide a great service to students of American jurisprudence by first addressing a highly relevant, if not the most relevant, development in American case law, and, second, mirroring the Court’s divergent approaches to Tenth Amendment jurisprudence. Reprinted with the gracious permission of The University Bookman (from Volume 43, Number 1, Fall 2003). Thank you, Mr. DeRosa, for a thoughtful and well-reasoned article on this issue. I prefer to be an eternal optimist, but my instincts and observations suggest to me that federalism is on a fast track to oblivion. More and more, we have a national government approach on very important issues with the states in a subordinate role. Instead of individual liberty, a cornerstone of the constitution and the intent of the framers, far too much time and energy is spent on catering to groups, which I believe are nothing more than pawns in a political game that appears destined to end very badly for all of us. There are certainly pockets of resistance, but the might and scale of the federal government appear too vast to overcome at this point.